There is so much to love about Copenhagen. Its inhabitants are among the happiest on earth and 50% of them commute by bike everyday; there are fabulous parks, lakes, beautiful historical buildings and architectural jewels virtually everywhere you look. Plus, the city’s worldwide reputation for being at the center of innovative Nordic cuisine and design is undeniable. So many shops, eateries and design hotels are opening up, it is hard to keep up. 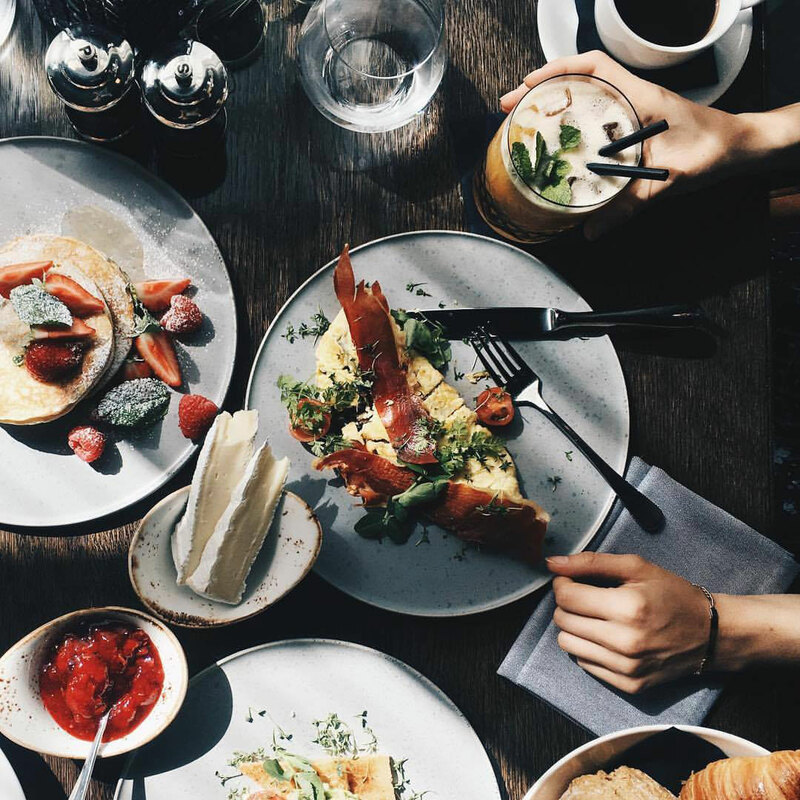 Lately, these five hot spots caught my attention, and they should be on your itinerary next time you are in the Danish capital city. The historic past of the building set the tone as soon as you walk in. The heritage listed site comprises an existing bunker and bomb shelter dating back to World War II, adding to the unique feel of the place. 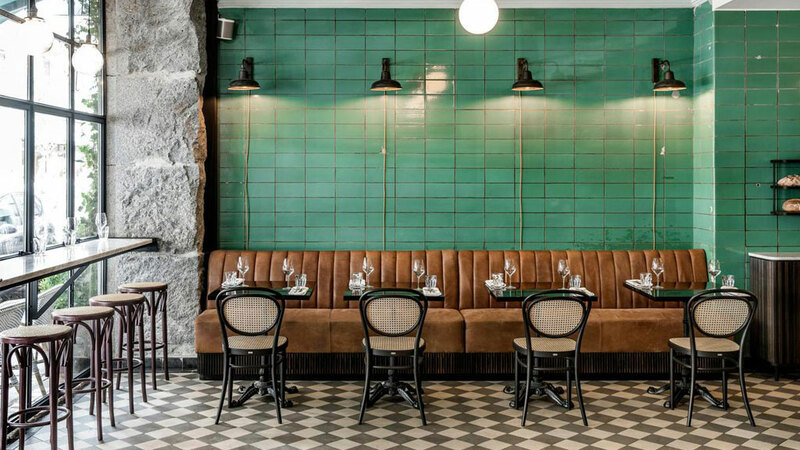 The new restaurant, located on Niels Hemmingsen street, has lots of character and a sophisticated vibe. Purity and “godliness” (notice the church-inspired seats) were the main themes of the beautiful interior, created by Anders Busk Faarborg from All That Matters Design. It is all about clean lines, a light palette, raw materials. Impressive custom-made brass chandeliers perfect the look. The chef, Adam Aamann, promised familiar fare with a surprising twist. Good food in a space with beautiful aesthetic influenced by Nordic simplicity? I’m in! This is where you’ll eat an eclectic mix of Nordic and Mediterranean cuisine in the Latin Quarter of Copenhagen. And looking at the picture below, a brunch at this new venue sounds like a good plan. 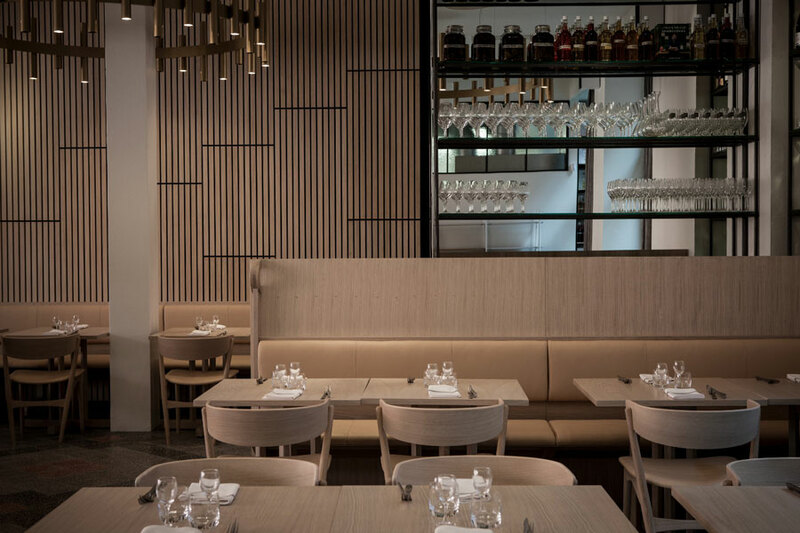 P eatery has a warm, intimate atmosphere, with its rich palette and elegant but understated look. I’m loving the mix of cognac leather (those Gubi chairs! ), thick brown curtains, candleholders by Louise Roe, the tiled floor… Some serious laid back luxury going on. And I heard they offer more than 100 wines served by the glass – Who’s coming with me? 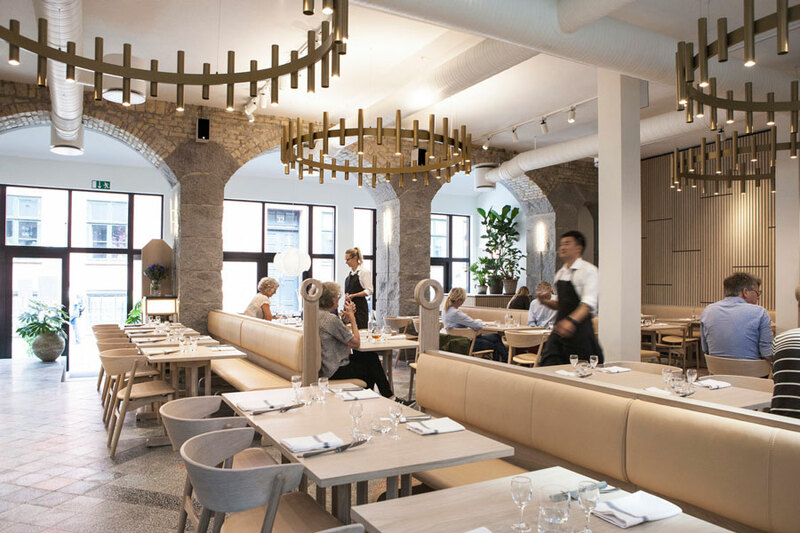 This is the latest restaurant by Cofoco, who teamed up with Danish studio Københavns Møbelsnedkeri. 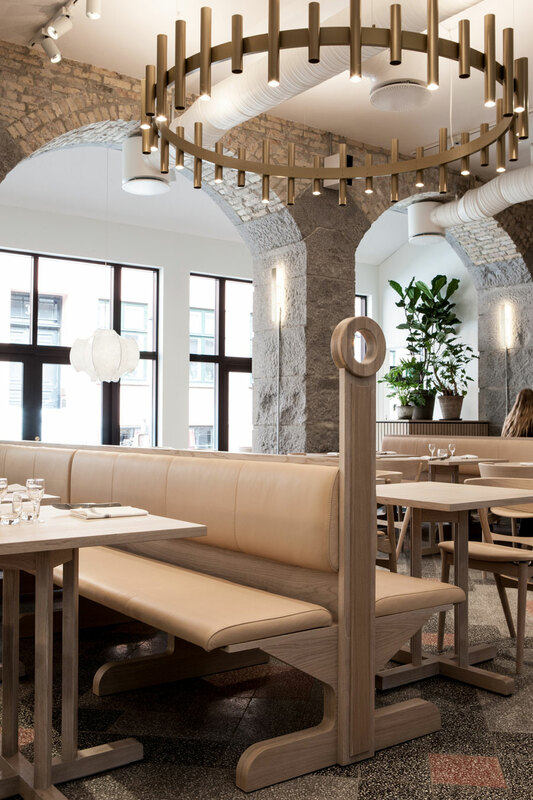 Located in a former butcher shop, the recently renovated interior is a nod to the place’s past and rustic French fare. 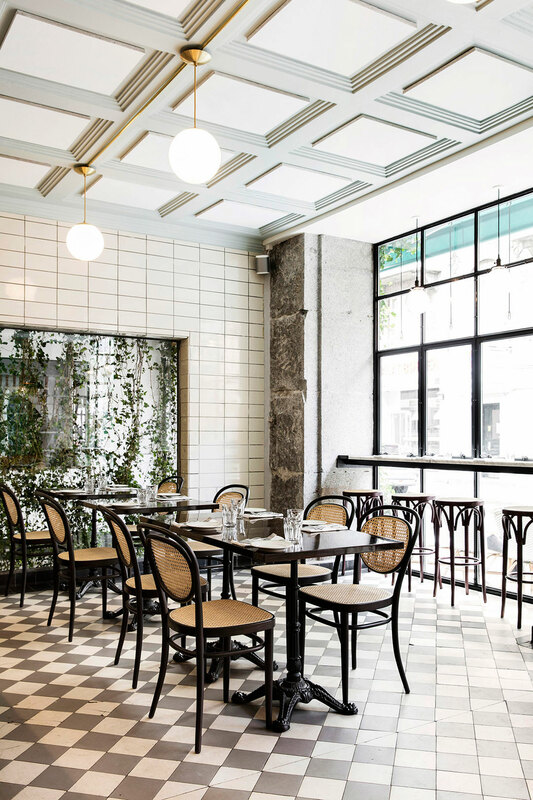 Vintage tiles on the walls, steel-framed windows, chequerboard flooring, brass and white marble touches, antique lamps and classic bistro chairs and stools by Thonet – the venue has a distinct Parisian flair with an industrial twist. 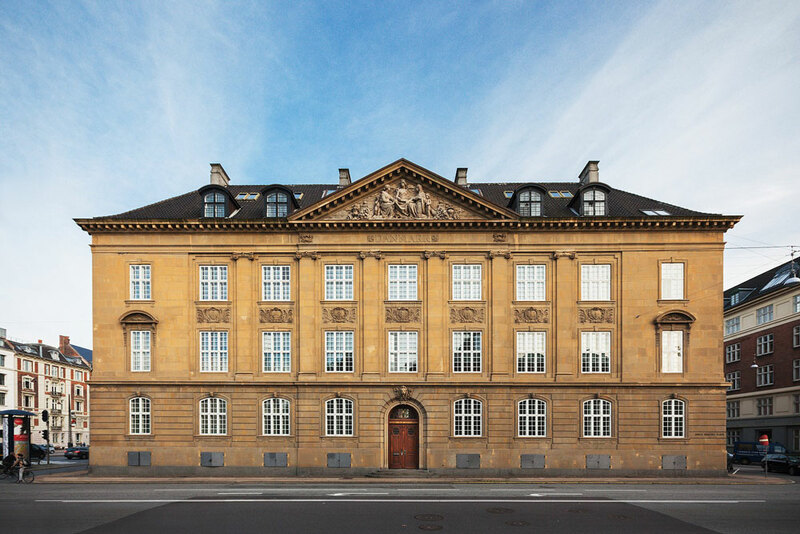 Opening later this month, a major player on the Swedish hospitality scene is opening his first Danish property. 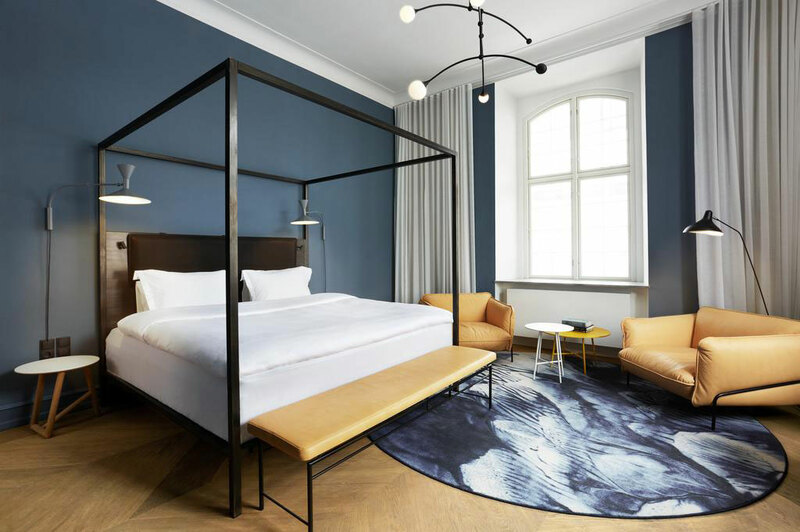 The grand Nobis Hotel Copenhagen is located in a fabulous 1903 building – the former Royal Danish Conservatory of Music – right next to Tivoli and the City Hall Square. Designed by star architect Gert Wingårdh, we can expect the hotel to be a stunning, design-led, and first-class accommodation. I can’t wait to visit! Near the city centre and close to the lakes, you’ll find Manon Les Suites, the latest addition to the Guldsmeden Group’s properties in Copenhagen. 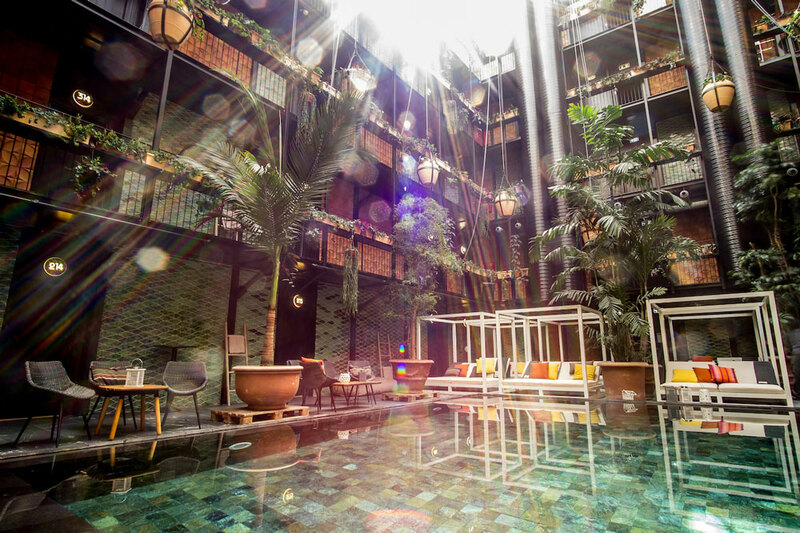 It caught my attention for its Instagram-worthy central pool area – A true Instagram-worthy luxuriant tropical oasis, with large leafy plants in giant terracotta pots, a patchwork-effect tiled pool, loungers and daybeds, parasols, and glass roof five storeys up. It sets the tone for the rest of the hotel; mellow, relaxed, cheerful and hip. The style is a mix of international influences, from Bali to New York and Africa. 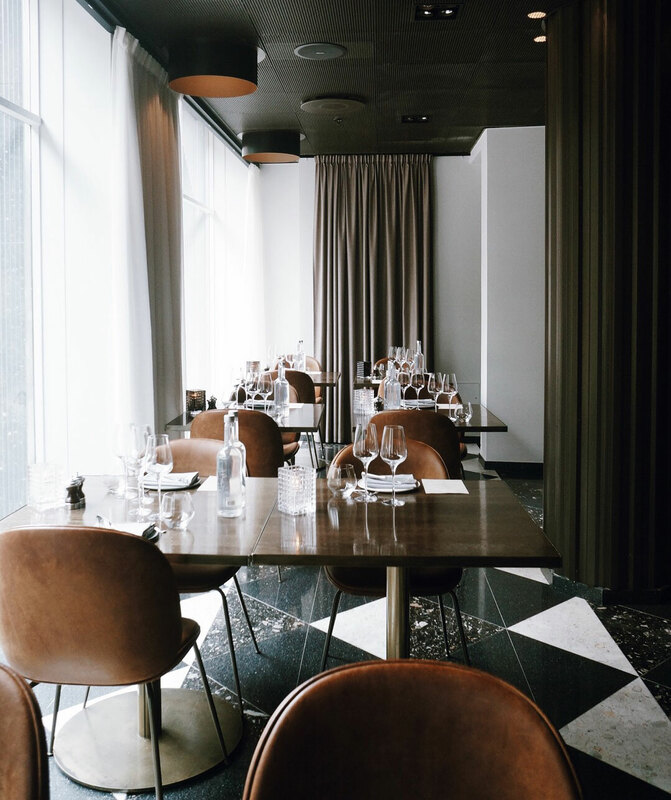 And in case you missed it, I’ve recently shared news about the elegant Hotel Sanders, the former coal crane converted in a luxurious getaway in the sky, the Menu Space, Barr Restaurant, and the Vipp loft, among others – All in Copenhagen!